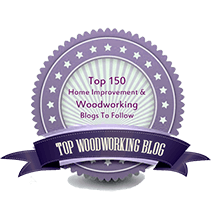 Heartwood » Blog Archive » Which machine first? And why. Which machine first? And why. New woodworkers setting up their first shops may wonder which major machines should be purchased first, second, and so forth. Similar issues confront experienced craftsmen looking to upgrade their machine arsenals. Answers to tool questions such as these must always take into consideration the type of projects planned, the methods and skills used, and shop space. Furthermore, quality woodworking is a very personal endeavor which precludes definitive answers in matters such as these. 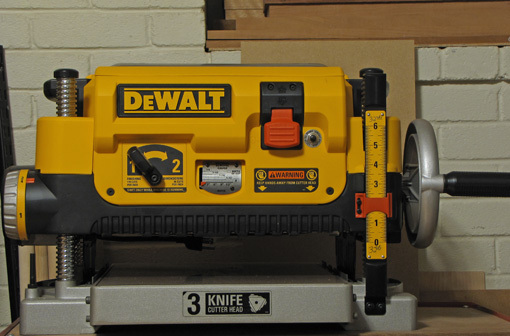 My suggested first major power tool is the portable thickness planer. Why? It accomplishes very well a difficult, essential task with relatively little expense and shop space. For $350 to $650, one can buy a machine that will perform its job at a very high level. Most woodworking projects start with flat boards of uniform thickness. So why not buy a jointer first? A jointer with the analogous quality and versatility as a portable thickness planer would cost far more, and its tasks are far easier to do by hand than is thicknessing. A flat surface prepared by hand, preceding thicknessing, can be done reasonably quickly and does not have to be pretty. It may even contain residual furrows from a scrub plane and tearout, so long as it does not contain cup, bow, or twist. Thus it can register properly against the bed of the thicknesser for the other side to be planed, then the board is flipped, and so forth. Spending much more money on a good jointer, or worse, buying a cheap or narrow jointer destined for early obsolescence, will produce a flat face but leave the arduous task of hand thicknessing. The portable thickness planer quickly frees the woodworker from some of the most limiting habits in woodworking – using pre-dressed wood and defaulting to 3/4″ stock. I like my DeWalt DW735. I use it with a dust collector but its blower allows use without one, making it easier to start up a shop. Next: suggested major machine number two. More money, of course, but here comes the fun. Big hint: it’s not the table saw. I do hand tool only woodworking, due partly to space constraints, but if a so called “lunchbox” planer like you are talking about magically appearing in my shop, I think I could find a place for it. 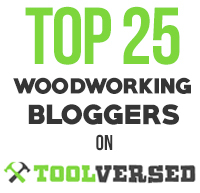 Seriously, I think that for most small shop woodworkers, you are dead on. I fully expect that there will be one at some point in my future as my shop space increases and my energy decreases. Under cover of darkness, smuggle in the beast and I won’t tell a soul. Rob, I can endorse the approach you describe from first hand experience. I have a tiny shop, and a less-than-huge budget, so any machine I purchase has to provide HUGE bang for the buck. I didn’t start with the planer, though; first machine was a 17″ bandsaw. I mill most of the lumber I use myself with a chainsaw rig, so the ability to resaw is vital to me. I added a lunchbox planer later, after I realized that I am far too lazy to surface rough lumber entirely by hand. I find that with an array of hand tools, and a few hand-held power tools, I can do everything I need to do to build furniture AND fit it all into a tiny bedroom shop. Thanks for the comment, Billy. Sounds like you’re well on your way. Enjoy. You are right, I start with a drill press then into a Bandsaw. I would however said if you get a Planner, then dig a little deeper and get a combine Planner / Jointer. This is my next purchase, why when you looked at the cost of both pices then it makes well worth the extra cost. Yes size dose matter in a small shop. Yea, a j-p combo is nice, but it may be too big of a commitment for a new woodworker. I have one, though I use my DeWalt for most of my planing. The prices are coming down, e.g. Rikon has a new combo, but I don’t know how good the cheaper ones are. Good luck with your combo machine. I’m with you on this; I don’t know why anyone doing furniture nowadays would buy a 6″ jointer or a battleship 8″ jointer.